Lets have a bit of love for this explosion of hearts and stars! 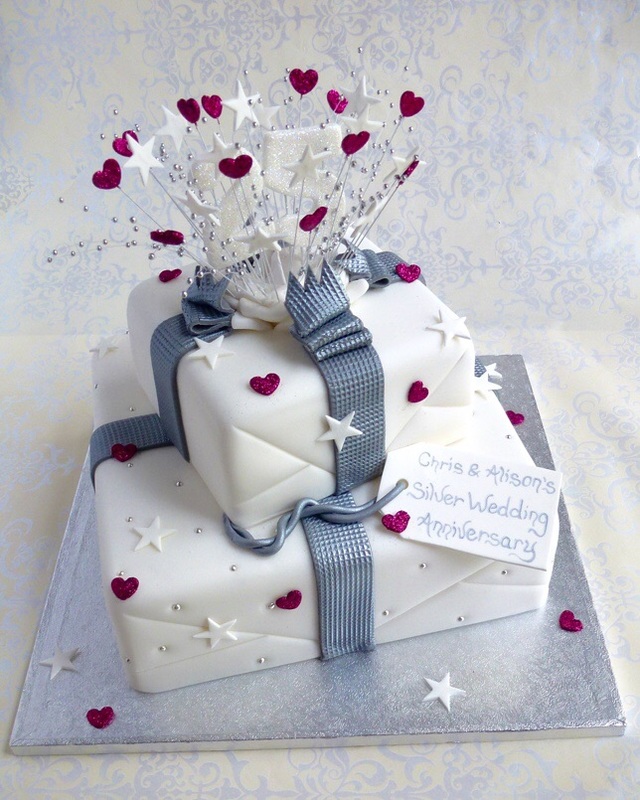 Both cakes are coated in white with the ribbons shimmered white, silver or gold. 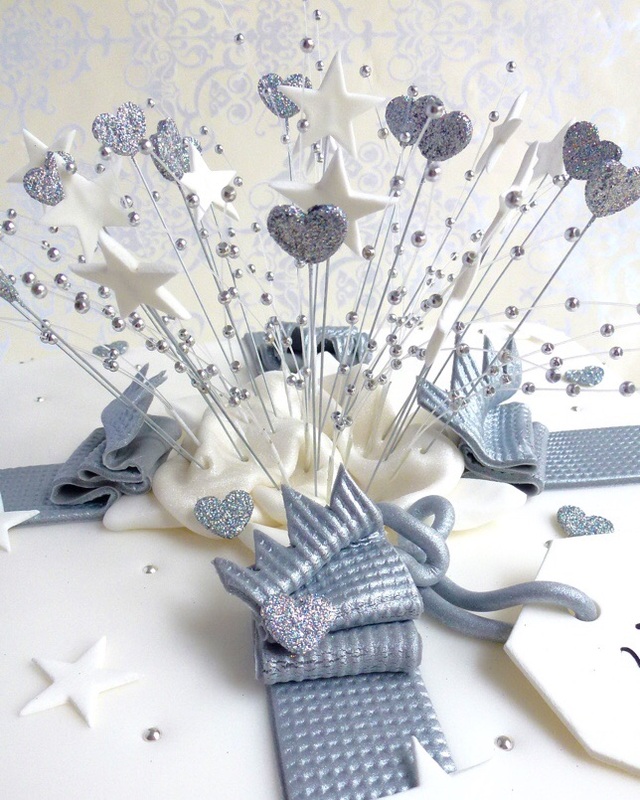 The stars are white and the hearts can be in a colour of your choosing and you also have the option of adding glitter to these. Finally the numbers are white glittered with the tag and edible shimmered tissue also in white.